Michelle has worked as a Registered Nurse for close to forty years, primarily in critical care, emergency and palliative care. Her thesis for her M.A. (Pastoral Ministry) from Assumption University, Windsor, reflected her interest in spirituality and palliative care and was subsequently published. 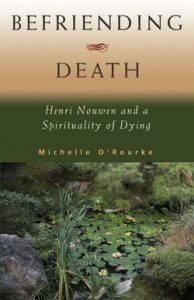 Befriending Death: Henri Nouwen and a Spirituality of Dying (Orbis Books, New York, 2009) has sold over 5,000 copies worldwide. 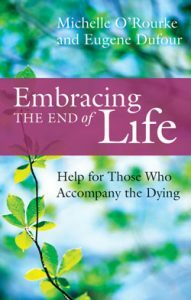 In 2012, Michelle collaborated with palliative care and grief expert Eugene Dufour to publish her second book, Embracing the End of Life: Help for Those Who Accompany the Dying. (Novalis, Toronto, 2012). It is a practical guide filled with inspirational stories, self-reflective questions and conversation starters for understanding end-of-life issues and discussing death and dying with others. It is valuable for anyone touched by dying and grief, including those involved in health care and ministry. While always nursing part-time, Michelle enjoyed 14 years as a lay Pastoral Minister in Chatham and 2 years with the Diocese of London as a Lay Ecclesial Ministry Specialist, supporting the lay ministers and parish nurses. During that time, she helped to develop the Foundations in Parish Nursing education program through St. Peter’s Seminary and acted as its coordinator until 2016. She has also facilitated many retreat days for various groups and provided training for victim services personnel and parish visiting volunteers. An assignment in 2014 led her to help design, build and open a new ten-bed residential hospice. This was truly a labour of love and high point of her nursing career. In December of 2017, Michelle retired from an Integrated Role as Program Coordinator for the Chatham-Kent Health Alliance Palliative Care and Oncology programs, and the Chatham-Kent Hospice. She likes to say she is ‘semi-retired’ as now she has more time to devote to the teaching and writing she enjoys. 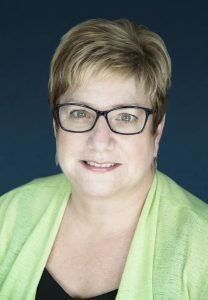 A frequent speaker and educator for many sectors in the areas of caregiving, grief, loss, spirituality and palliative care, she remains involved in Advance Care Planning work and is assisting the Henri Nouwen Society with their new Courage for Caregivers initiative. She is currently affiliated with St. Josephs Hospice in London and is a clinical consultant with ROA Architects of Chatham on new hospice projects they have underway. Michelle and her husband Tom live in London Ontario and are parents to a son and three daughters. She is a musician who enjoys reading, travelling and spending time with family and friends. Michelle is professional and engaging, and made me very comfortable as the event planner. She always responded quickly to my communications and was very helpful. As the keynote speaker at our event, Michelle warmed up the crowd, was inspiring and her compassion was felt throughout the room. She set the tone for the day as thoughtful, kind and full of self-care. I would highly recommend her speaking and presentation style to others.